They ruled the Rock & Roll music scene of the 70's, blowing the roof off thousands of live music venues across the country & beyond. With decades of musical mastery under their belts, some of the boys from Crowbar are back in town - & they're ready to rock. From the early beginnings with King Biscuit Boy to their Greatest Hits compilation - it's been one hell of a ride! Check out the journey below & click to purchase your piece of Canadian music history via Amazon.ca! 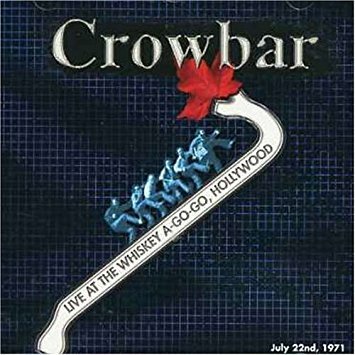 Debut Crowbar album recorded with legendary Richard Newell, aka the King Biscuit Boy. Featuring the Canadian classic anthem, "Oh What a Feeling." Recorded LIVE in concert at Massey Hall, Toronto. Features hits including Million Dollar Weekend & All The Living Things. Released in '97, this album was created live at the world famous Whiskey A Go-Go.